Learn how to find the Snitch, who will lead you to the secret vendor, Cassie Mendoza the gunrunner, in The Division 2. 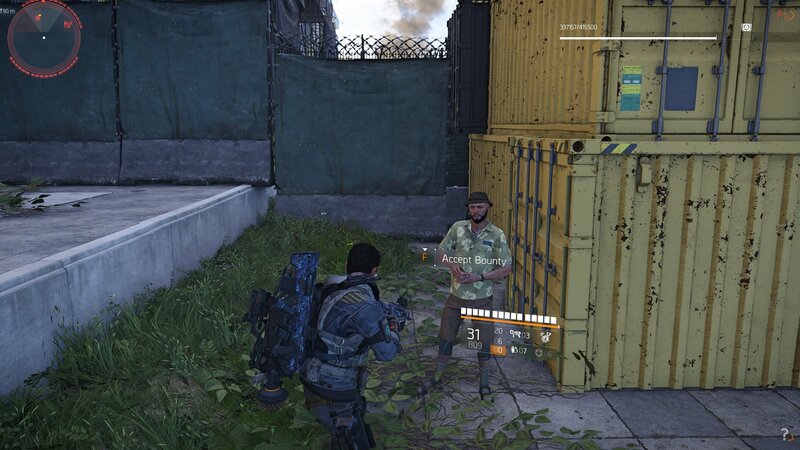 The Division 2 has several secrets for players to find, and if you want the best chances of getting great loot, you’re going to need to find the secret vendor in The Division 2. This special vendor, known as Cassie Mendoza, sells a lot of great high-end gear that players will want to check out. Finding this vendor can be a bit tricky, though, and this guide will show you everything you need to know to find the Snitch, who will then lead you to the secret vendor. The first step to finding Cassie Mendoza is to find the Snitch. The Snitch, also known as Jared Nash, is a NPC that players can run across while they are exploring Washington D.C. It’s possible you’ve come across him many times throughout your journey so far. He appears as a series of question marks on your HUD when you approach him. When talking to the Snitch, you’ll be given a marker on your map for a bounty that he wants you to complete. While you're looking for the Snitch, you might as well look for Faction Cache Keys. Look out for the Snitch as you explore Washington D.C. in The Division 2. The bounty, though, is only half of the Snitch’s job. See, this NPC also teams up with another character named Cassie Mendoza. After you talk to the Snitch, he’ll also mark the location of Cassie’s shop on your map. You can then travel to her shop and speak with her to purchase a series of different weapons, armor, and other items that she might have available for sale. 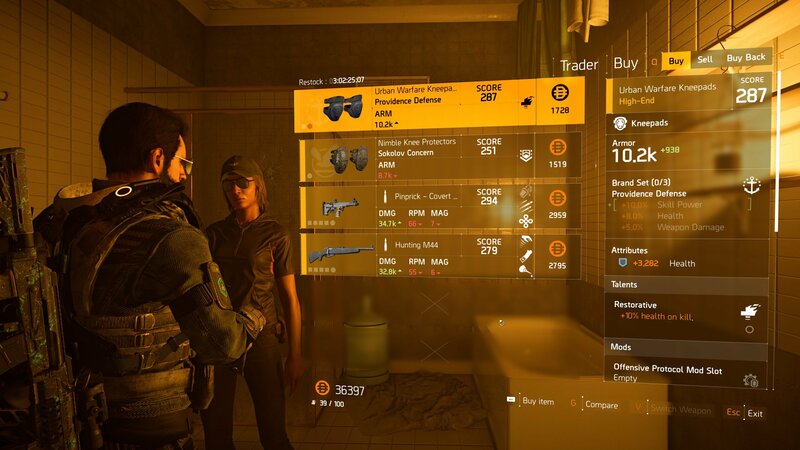 Like many of the vendors in The Division 2, Cassie’s stock will rotate out every few days. In fact, her entire position will rotate out. 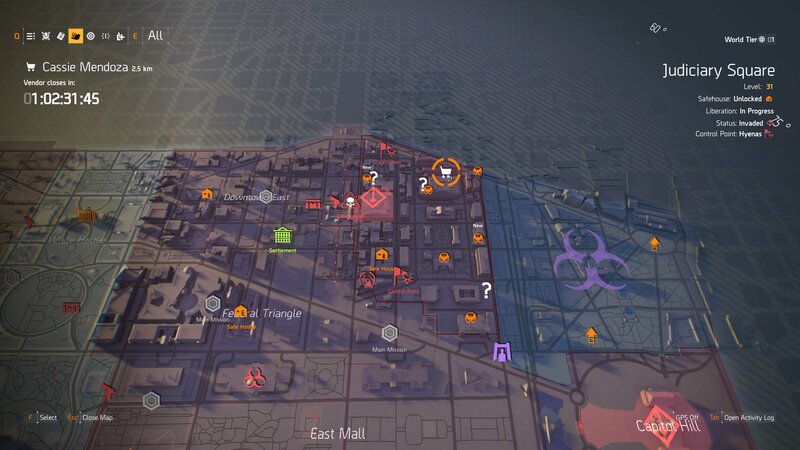 The secret vendor will be marked by a shopping cart icon on your map once you have talked to the Snitch. 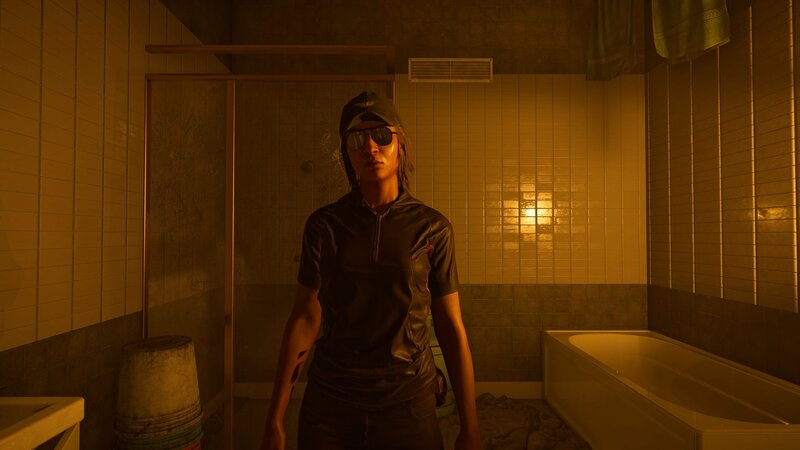 Every 36 hours, players will find that Cassie Mendoza has once more moved on to a new location. When this happens, you will need to find the Snitch once more. The bad news is there aren’t any guaranteed ways to find the Snitch other than to travel to the various question marks on your map. As you near each of the question marks, you’ll learn more about the event that it pertains to. If you’re lucky, you’ll come across the Snitch while clearing these from the world. Players can check the various wares that Cassie has to offer by visiting the icon on their map. Now that you know how to find the secret vendor, you can start collecting some of the cool, exclusive gear that she has available. It’s definitely worth visiting and checking out her inventory when you can, as you’ll often find some useful goods available for purchase. If you need more help, make sure you head back over to our other The Division 2 guides, and be sure to check out the official website for more information on the game.